Ground source heat, also known as Geothermal, is a sustainable resource which can be used to reduce energy, heating and cooling bills. The basic concept is to use the ground as a reservoir for heat; either extracting heat from the ground or pumping it back in. Reversible systems can be used as a source of cooling in summer or heating in winter. The efficiency of ground source heat pumps continue to improve, and the are suitable for both existing properties and new builds. At Hydrogeo we have expertise in the feasibility, design and testing of both open and closed ground source heat pumps and geothermal boreholes for ground source heating and cooling. 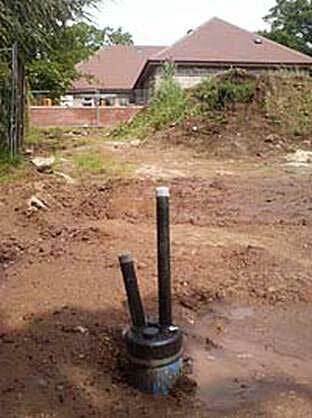 Open loop systems pump groundwater from below the surface and perform heat exchange with the pumped water. Closed loop systems circulate the water in a closed system, with the heat exchange taking place between the loop and ground. Hydrogeo can work alongside Architects, building and heating Engineers to ensure the ground source system is designed appropriately based on an understanding of the ground and groundwater conditions. This can ensure that the risks associated with reliance on the ground for heating and cooling purposes are understood and minimised. Input from a Hydrogeologist from Hydrogeo on the feasibility and design of ground source heating and cooling systems can ensure that the system can meet the heating and cooling requirements of the building for its full lifetime. This is particularly important when designing large systems in excess of 50 kW. Feasibility, design and supervision of closed systems (heat exchange direct from the ground via trenches or boreholes). If you would like to speak to someone at Hydrogeo about Geothermal Services please call 07877 251644 or email [email protected].